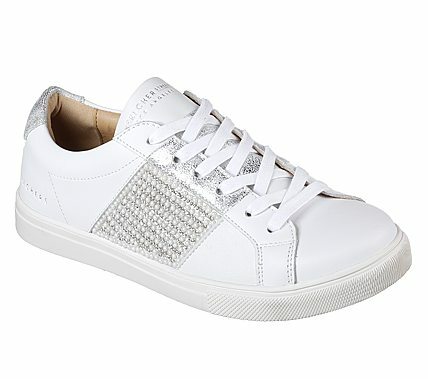 Steal some hearts with classic, clean style and glittering detail in the SKECHERS Moda - Bling Bandit shoe. Smooth leather upper in a lace up classic sporty classic-style street sneaker with stitching and overlay accents. Metallic overlays and rhinestone accents on side panel, Memory Foam comfort insole.